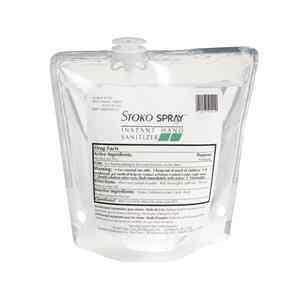 Catalog: Stoko Spray® Instant Hand Sanitizer 400 mL refill. 12/Case. Stoko Spray® Instant Hand Sanitizer 400 mL refill. 12/Case. Alcohol-based formula kills common germs and bacteria that can cause disease. 400 mL refill. 12/Case.